An active couple, a retired environmental engineer and a substitute teacher who volunteer in the community and at church, and work part-time to finance travels. Having had four children, we often travel to visit them and our grandchildren. Each year we are likely to travel at least once to Connecticut, Long Island, NY, and Colorado. We like to travel blue highways to discover what we would miss on the interstates. We are readers, Margaret is a gardener, a beginning quilter, family photographer, and genealogy enthusiast. Jack of trades and master of none suits us; we are willing to help and learn. We enjoy gardening, boating, hiking, and traveling. With a son and daughter-in-law in Colorado, and two daughters with husbands and sons, we tend to travel east and west at least once each year. 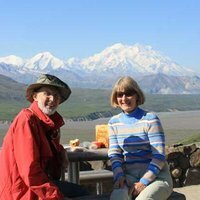 Having taken a 10-week trip to and from Alaska in 2013, we loved the freedom of boondocking in many, many places throughout Alberta, Yukon, Alaska, and British Columbia. We wish there were more opportunities for boondocking in the lower 48! 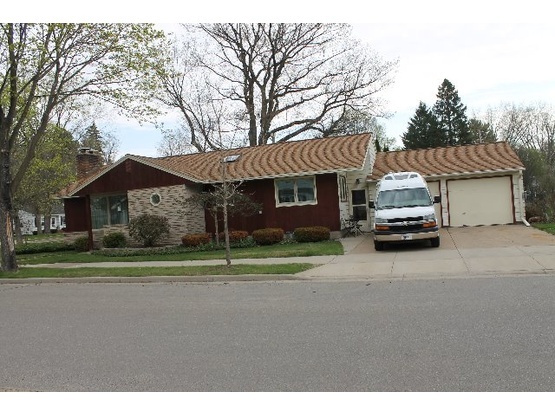 Wausau, Wisconsin has a population of about 75,000-80,000 in the metro-area which includes Rib Mountain, Schofield, Weston, Rothschild, and Kronenwetter. We are located in the north central part of the state with a river running through the community. Rib Mountain State Park peaks at about 800 feet above the area. Farming, wood-based industry, and outdoor recreation offer many benefits to the area residents and visitors. There are a few campgrounds in the area in case you wish to stay longer. 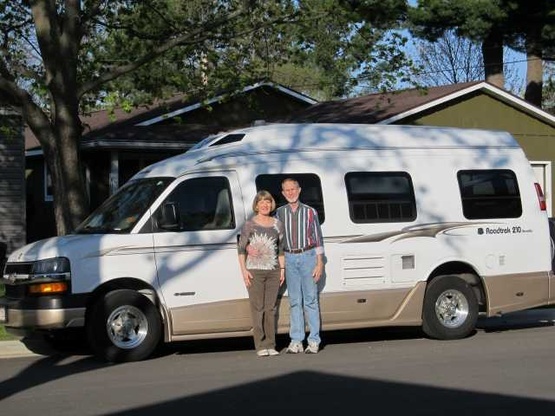 We travel in a Roadtrek class B motorhome. It is a 2007 Chevy 210 Versatile with a continental kit on the back. We have an awning, but rarely use it because we are out and about or driving to the next location after only a day or two in one place. Blue highways are our specialty. This was our first experience and they gave us such a welcome. They are excellent hosts and we would love to stay with them again. Thank you!